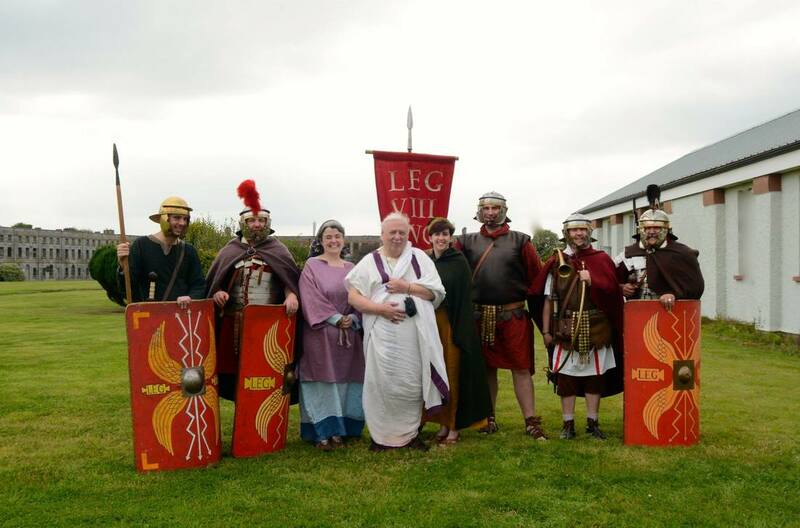 OUR Goal to bring Accurate Knowledge of all things ROMAN to History themed events, schools, Colleges and the wider public. LtoR David Ryan, Gordon Carroll, Roisin Hurley, Michael F Gasparro, Heather C Key, Eoghan Healy, John Mc Sweeney, and Joseph P O'Doherty Saleh. 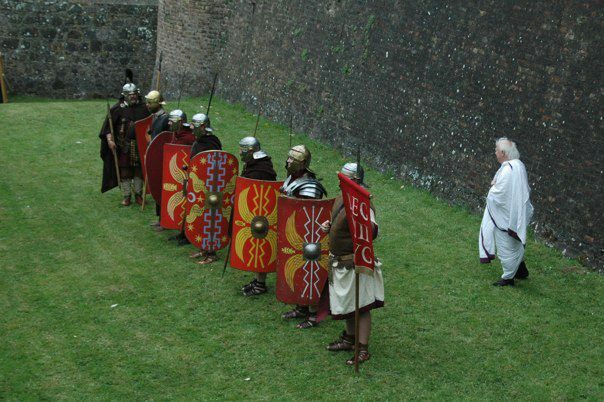 Military Display is often carried out to demonstrate the command and controle as we believe was used by the CENTURION or OPTIO. All commands are given in LATIN and basic manoeuvres performed. 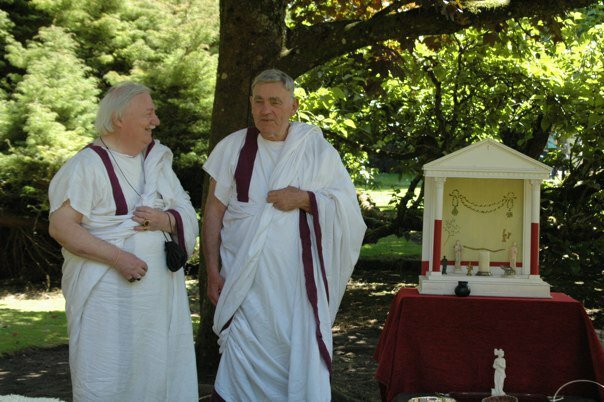 Here we see our SENATORS chatting about the days business of ROME behind them we see the LARARIUM a small shrine where dedications to the GODS are made.